I love Hypnobirthing and have had 3 hypnobirths! All births were calm & relaxed - not one went entirely to plan – but I enjoyed giving birth - each & every aspect of it. My passion is supporting you through your hypnobirthing journey, helping to develop your knowledge & skills whilst seeing your confidence grow. So I offer full & ongoing support, whichever course you choose. I run group hypnobirthing classes in Oxford, Thame & Witney. Group courses are a lovely, sociable way to make friends and we have local mama meet ups through the year. KG Hypnobirthing can give you the knowledge and confidence to prepare for a calm birth – Body & Mind. You can feel confident about the decisions you may face in pregnancy and birth, knowing that you have options. I am also a Clinical Hypnotherapist so in addition to your hypnobirthing requirements, I can also help with morning sickness, hyperemesis gravidarum, breach babies, antenatal & postnatal depression, fears including tokophobia & any general anxieties you may wish to let go before of before parenthood. My peaceful Hypnotherapy Practice is just outside the City of Oxford. You will find a reliable, flexible service which is to tailored to you – in person or online –classes, in clinic or your home. As a hypnobirthing mummy I have experienced the benefits of Hypnobirthing first hand and am passionate about empowering other mothers & partners to have a calm, confident birthing experience whatever their birthing choices or situation. The benefits of a good birth are endless. 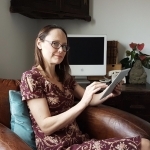 I am a three time Hypnobirthing mummy, and Clinical Hypnotherapist with a peaceful therapeutic practice just outside Oxford city, but I go wherever my works takes me. I run popular group courses in Oxford, Thame and Witney but also offer private classes across Oxfordshire and surrounding counties. I have experience and training in several types of Hypnobirthing and have 3 very positive births and 3 happy hypnobabies! As well as delivering the highly regarded KGHypnobirthing course, I offer hypnotherapy for fertility, morning sickness, antenatal & postnatal services and have great success turning Breech babies with Hypnotherapy. I am also trained in Rewind Technique (closure without disclosure) which is beneficial for clients with previous traumatic experiences. Before hypnotherapy, my years of scientific learning (biology & psychology) led me to a long and rewarding career in the emergency services. I was able to support people who were often going through the most stressful & challenging times in their lives and am delighted to continue supporting people as a Hypnotherapist. Hypnobirthing is one of my greatest pleasures as a therapist. Having a baby is a pivotal time in your life, and Hypnobirthing brings invaluable calm and confidence to it. Your memories of your babies birth will last you a lifetime, so let’s make them positive! I consider myself very lucky to have discovered Hypnobirthing before starting my family. I have had 3 very positive & mindful hypnobirths - Each was a wonderful and unique experience, though not one went entirely to plan! I am especially lucky to have found KGHypnobirthing before the birth of my third child. KG Hypnobirthing is the complete package, because it is not just Hypnobirthing, nor is it just another antenatal class. KGH provides learners with an invaluable insight into the mind-body connection, nurtures confidence & empowerment and is highly educational. A real eye opener. Eliot's hypnobirth was totally different to the exhaustion and terror I had felt throughout the brith of my first child. With Steph & Oxford Hypnobirthing I felt a million dollars! I got my natural hypnobirth and my experience just shows how different two births can be. The power of the mind is a wonderful thing and finding someone like Steph, who can show you how to use it is equally as wonderful in my book! Hypnobirthing allowed me to go with the flow of pregnancy and birth. It put me in a positive, calm and accepting state of mind, which was so important as it was my first pregnancy and I didn’t know what to expect from labour. Steph worked with me in the final months of my pregnancy, guiding me through the hypnobirthing exercises and what I might expect in labour. Her gentle, positive and loving manner was so important in making me feel excited and relaxed about the last stages of my pregnancy and my labour. My partner was great at helping me through the hypnobirthing exercises, which we used during labour. During labour, the element of time disappeared, with my partner’s voice leading me through contractions calmly and confidently. I just kept telling myself to surrender, that each contraction was nudging my baby closer to us. I visualised water flowing downwards, and flowers opening. My labour was relatively short for a first timer, and the midwife was surprised at how calm the birth was with a 3 minute gap between delivering my baby’s head and his body - which was the easiest part! My partner says I just breathed the baby out…which is a beautiful way to think of our boy arriving into this world. Having been in a birthing room before with my sister, this was my second experience! I felt like hypnobirthing prepped me with tools to go to, making me more confident and more efficient during my partner’s labour. Meeting with Steph taught me that a calm environment is essential for this process. I know the process helped my partner, as her labour was just over 8 hours, but in real time it felt like 5 minutes when we look back at it. Thank you Steph! I found Steph's hypnobirthing course to be educational, positive and inspirational! The deep relaxation techniques and understanding how they can add benefit were very useful to me, particularly prior to the birth of my son. I would recommend Steph's course to anyone who wishes to broaden their understanding of pregnancy and childbirth and who needs some support to relax and take time to consider and plan how they wish to prepare for the birth of their baby. I maintain a delightfully flexible approach for my clients so 1:1 course dates/times can be booked according to your needs. Advance booking is always recommended but equally I am always thrilled to squeeze in last minute requests. Early booking discounts are available for group courses. See dates below! Oxford Hypnobirthing group courses are currently available near Oxford City or create a private group course with your nct friends! Private 1:1 Oxford Hypnobirthing classes are available all across the region, throughout Oxford, Oxfordshire, Buckinghamshire, Berkshire & Northamptonshire. I recommend clients book sessions in to begin anytime after 20 weeks. But it’s never too late! That said, 25-35 weeks seems to be the most popular time & it allows for plenty of practice. Condensed packages are available for repeat KG hypnobirthing mothers who just want a refresher, cesarean section specific courses and more. Full Group Hypnobirthing Courses in Oxfordfordshire but convenient for Buckinghamshire & Berkshire.